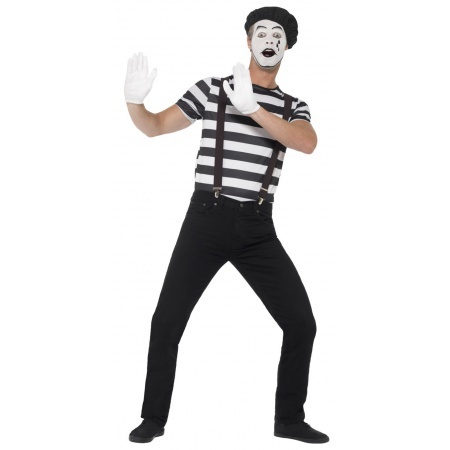 This mime Halloween costume includes a striped top, beret, gloves, suspenders and makeup kit. 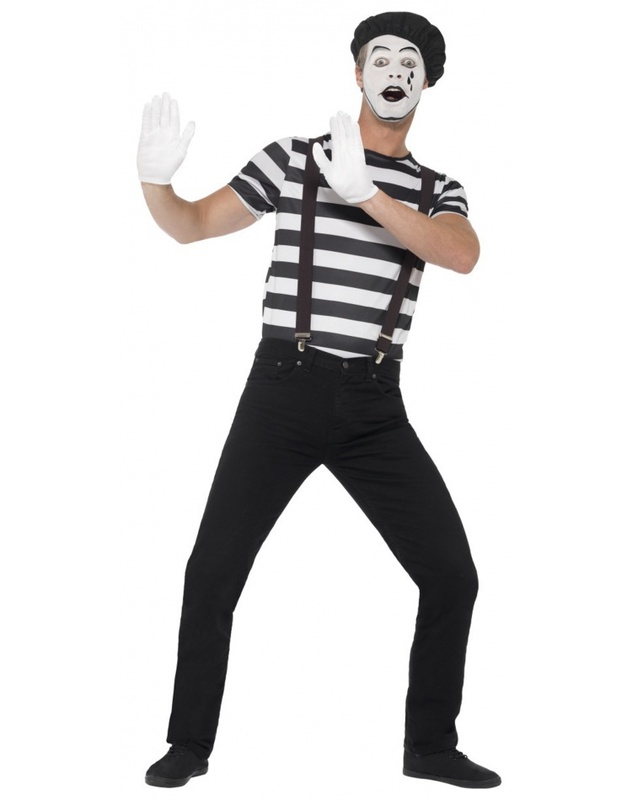 Our mime Halloween costume comes in adult sizes Medium, Large. The pants are not included with this adult mime costume.